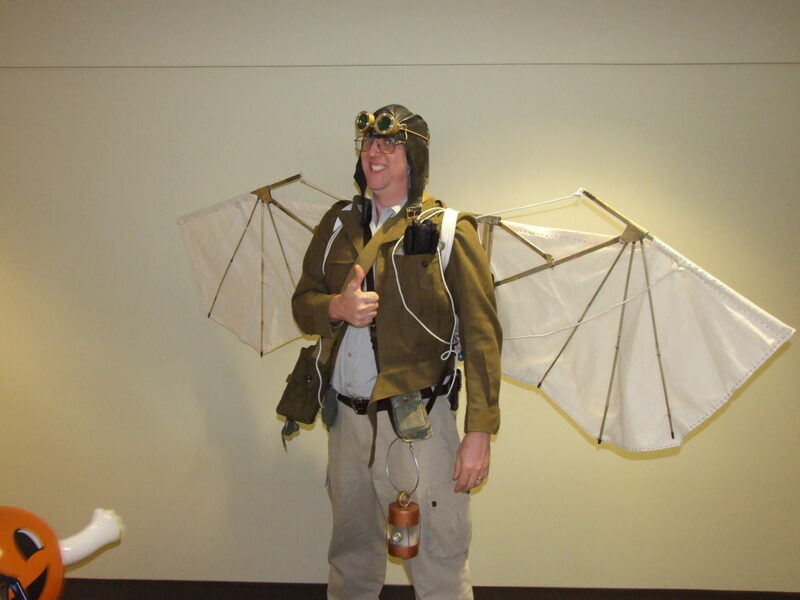 Here is my crazy aviator costume from Halloween 2008. I was inspired by a recent steampunk ornithopter picture. Here is my crazy explorer costume from Halloween 2007. I was inspired by old pictures of European explorers from the late 19th and early 20th century. Finishing touches included a pith helmet with goggles, a latern with a working flashlight in it, and a ridiculously oversized gun. Anne and I saw a Canadian lynx outside a local veterinarian’s office. He was waiting in the car with his owners for the vet, which handles all sorts of animals besides just cats and dogs. 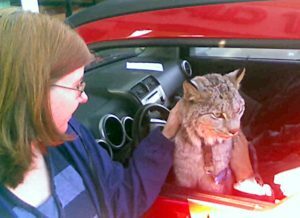 The owners of the lynx have an exotic animal refuge. This cat’s name is Tucker, and he was quite friendly. He let us pet him and stroke his very soft fur. He has a pink nose just like a house cat, and his paws were HUGE. The owners take him everywhere, and I would too if I had one. What a fabulous, beautiful animal.